Home Amazing 16 Terabytes in the Palm of Your Hand! We live in the best of times! Technology has the ability to improve our lives in ways most of us can’t begin to imagine. One of the tools that is allowing that to happen is ‘big data’. Sure it has the potential to be intrusive… but it has a much greater potential to take a lot of drudgery out of your life! One of the really big challenges we’re all facing is data storage. All of us simply have more! More photos, more music, more movies, more articles… more, more, MORE! For example, when digital cameras first became readily affordable, they took photos in a 640 x 480 pixel format. That’s about 0.3mb per photo. If you had 1,000 photos, you’d need 300mb of storage. My three year old LG phone takes 8 megapixel photos. My wife’s new Lenovo K3 takes 13 megapixel photos! A 1,000 photos at 13 megapixels (yes she really, really has that many photos of the kids, the dogs, the peacocks and the flowers) requires – wait for it – 13 gigabytes of storage! We’ve gone from 300mb to 13gb and there are already phones offering 20 megapixel cameras! Getting back to ‘big data’, imagine how many people buy at your local supermarket every day. Got a loyalty card? Your purchases are being tracked. Catch public transport and use a paycard? Your travel habits are being tracked. Use toll roads with an auto-pay system? Tracked. Been to see the doctor recently? Yep… tracked. No, it’s not ‘big brother’. That information is used to make sure you know when your favourite foods come on special, to help ease peak hour congestion and determine better ways to use our roads. That trip to the doctor? That data is aggregated with the aim of offering better health care to all of us! The problem is that all that data requires massive storage coupled with the ability to retrieve that data quickly and efficiently. 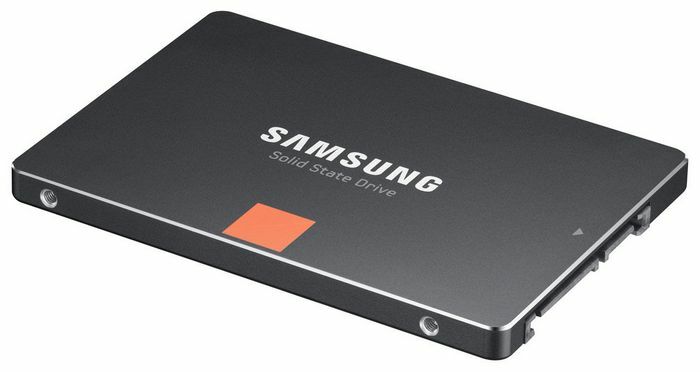 Enter SSD drives! They can be anything from three to ten times faster than conventional hard drives while using a fraction of the power. And because they have no moving parts, they offer significantly greater reliability with 1 million hours of use between failures (MTBF) becoming the norm. Like all technology, innovation is leap-frogging innovation. Without delving too deeply, just two years ago, SSD drive memory chips (NAND flash dies) had ‘only’ 24 layers. A year ago, Intel worked out how to go 36 layers deep. Now Samsung have gone 48 layers! That improvement has resulted in a drive capable of storing 60% more than yesterday’s best alternative! Need some perspective? How about 4,000 feature movies or roughly 5 million photos. The stumbling block for you and me will be the $8,000 price tag. But you can bet your data that next year they’ll be half the price with twice the storage. And by 2020, you can count on these being standard items in the $500 laptop at Aldi! And just in case you don’t think you’ll ever use that much storage… I can remember the excitement of buying my first 10mb (yes, 10 megabyte) drive! I thought I would never fill that! BTW, if you’re looking for portable storage at a much lower cost, I’ve just taken delivery of this 128gb Samsung Evo UHS-I TF card. It’s ffffaaaasssttttt! Previous articleThis WASP is making 3D printed houses from mud!